Tinder for PC is now available for download. Today, Tinder officially announced web version of its popular match-making service. The app is already available for Android and iOS devices. 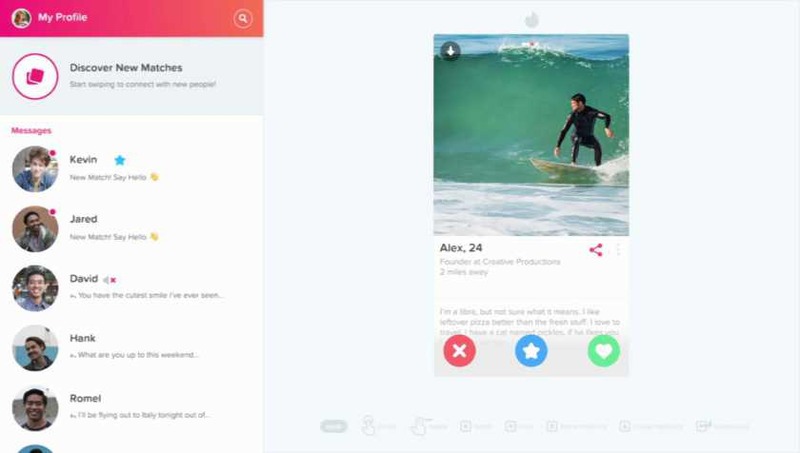 Tinder Online lacks some of the features of the mobile versions – including paid features like Tinder Boost and Super Like. You still get the basics, though, and it’s likely that power users will prefer the web version because it makes it much easier to have a conversation. You access Tinder, you will still need to log in with Facebook. The company confirms that they won’t collect any browsing data other than your location. Tinder Online is currently available in Argentina, Brazil, Colombia, Indonesia, Italy, Mexico, Philippines, and Sweden. Tinder for PC will roll out to other countries later. The company is also testing the ability to login via SMS directly from your mobile phone in various markets. Access Tinder Online from here.